SolePath energy analysis takes place at the Calgary SolePath Institute, a space that is energetically cleared and balanced to ensure unobstructed connection to the field. It’s also an inspiring, comforting place for our analysts to complete their metaphysical energy work. Our analysts understand that delivering the correct SolePath to each individual is a sacred responsibility. We all take this very seriously. 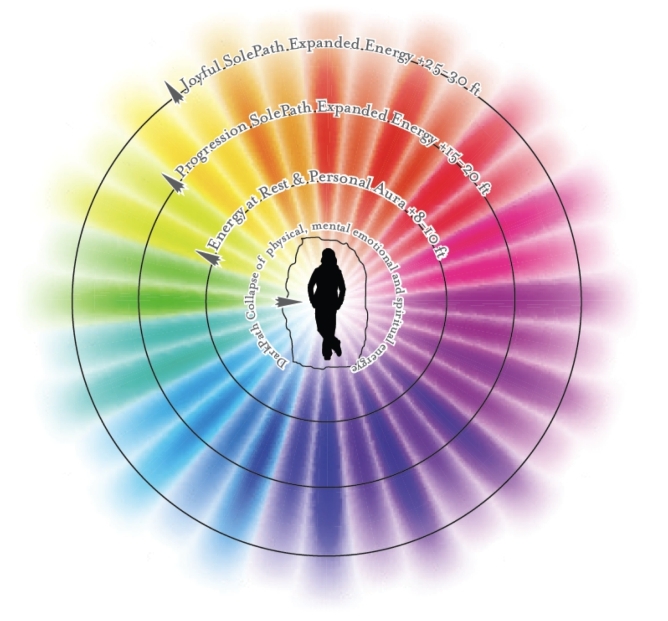 Determining a person’s SolePath is a mystical process and is completed by SolePath certified energy analysts chosen for their ability to connect metaphysically. Photographs are used for the analysis to provide a very stable structural link to the field of energy. We have learned that each SolePath analysis can only be done once and therefore it must be done right the first time. In our process, just as in quantum mechanics, the way you look at things changes what you look at. The first look, correctly done, is always perfect. If a person is analyzed more than once, it is possible that they could get a different SolePath reading. The first analysis, completed by a highly trained SolePath certified energy analyst, is the correct analysis. Every SolePath personality profile is authenticated and approved by two analysts who work together. The first analyst completes the SolePath reading and the second analyst validates and verifies their connection to the field. The record is then filed in the SolePath Institute library of records; an exclusive community of people who are striving to make a difference. It takes us about five days to complete the analysis, but most of the time we aim for less than that. We don’t want to keep you waiting, we understand how exciting it is to request your SolePath, we really do. Our focus is on working quickly while staying true to the process and our deep understanding that accuracy is our first priority. Click on the ‘request your SolePath energy analysis’ button and pay only what you feel able to give.